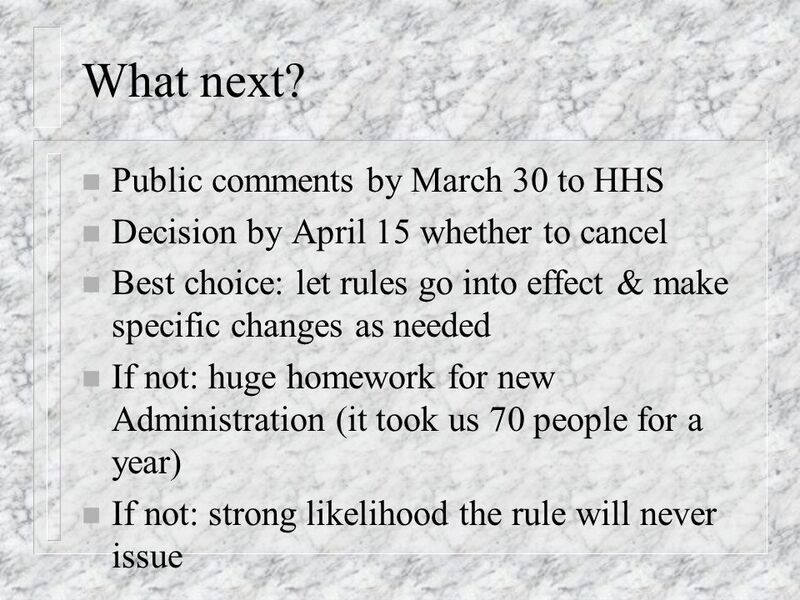 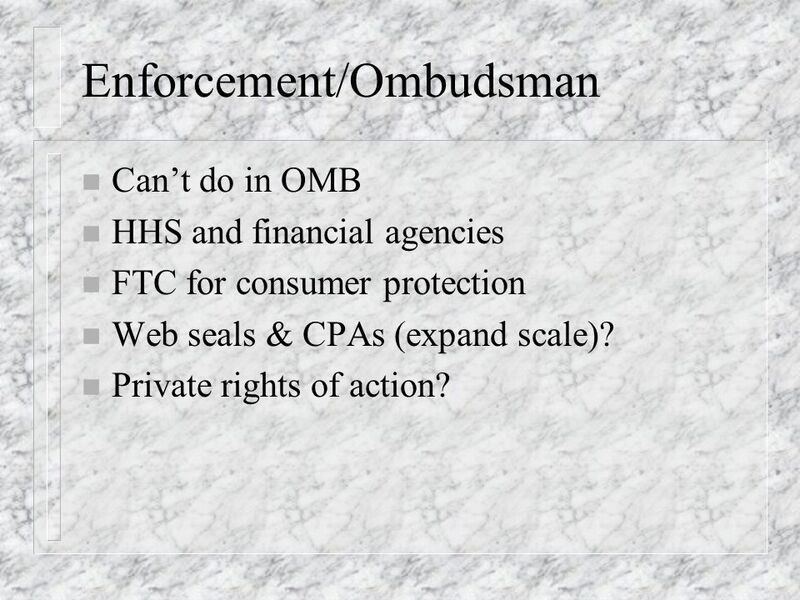 14 Enforcement/Ombudsman n Cant do in OMB n HHS and financial agencies n FTC for consumer protection n Web seals & CPAs (expand scale)? 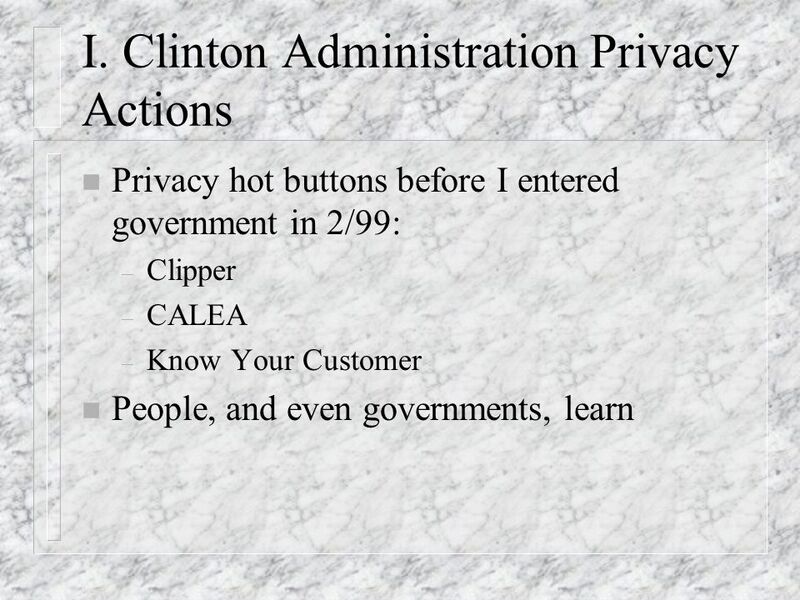 n Private rights of action? 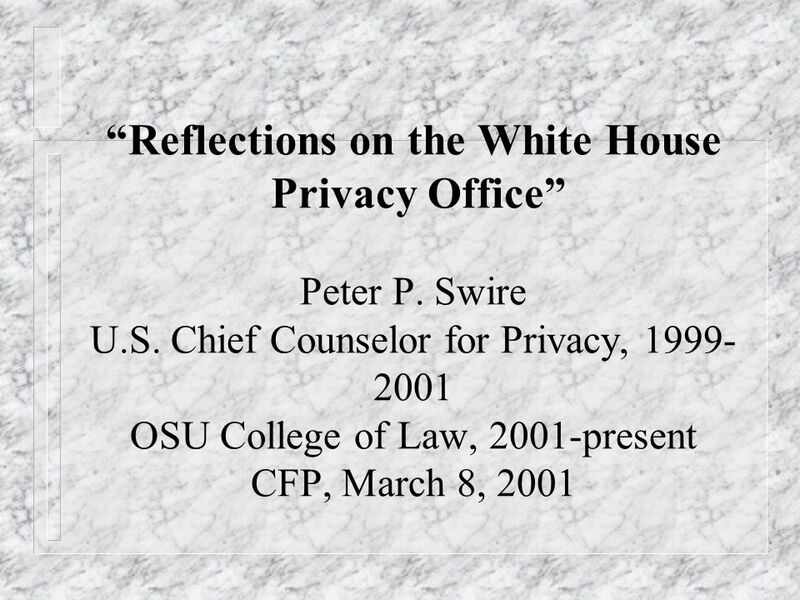 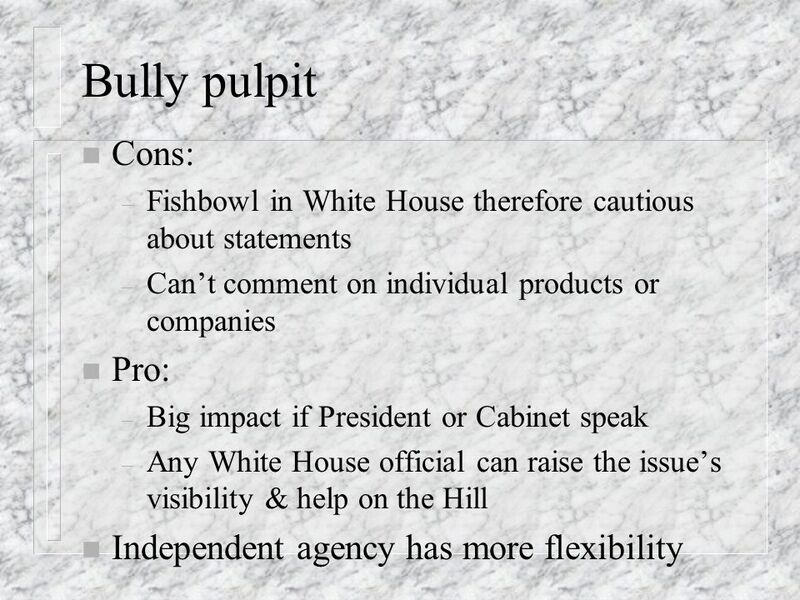 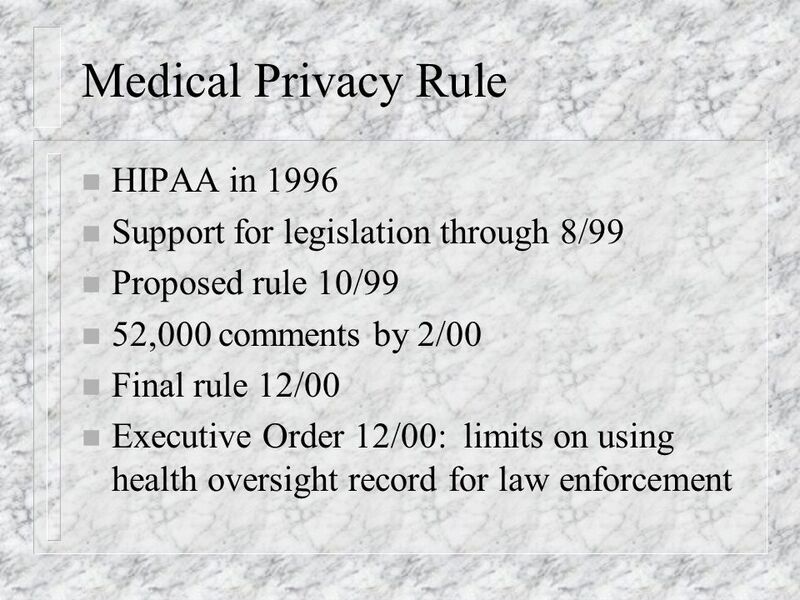 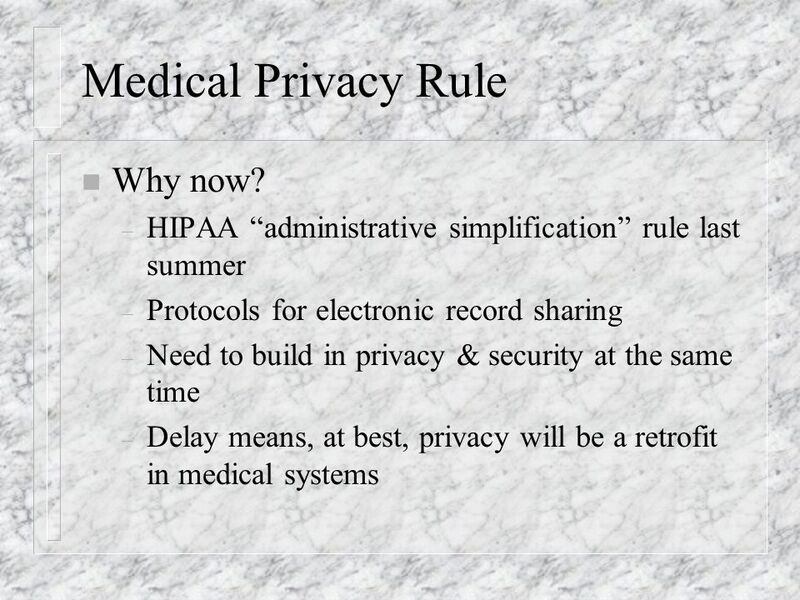 Download ppt "Reflections on the White House Privacy Office Peter P. Swire U.S. Chief Counselor for Privacy, 1999- 2001 OSU College of Law, 2001-present CFP, March 8,"
Chapter 44 Administrative Law Copyright © 2012 by The McGraw-Hill Companies, Inc. All rights reserved. 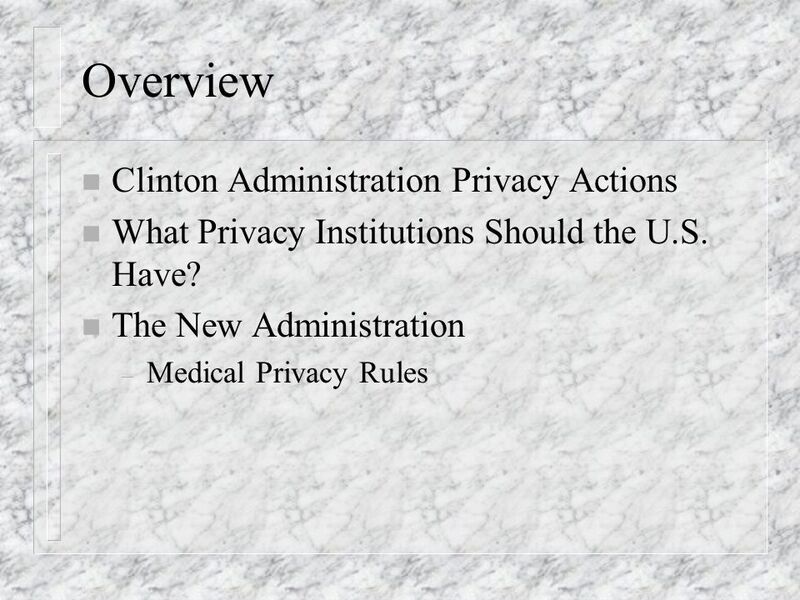 McGraw-Hill/Irwin. 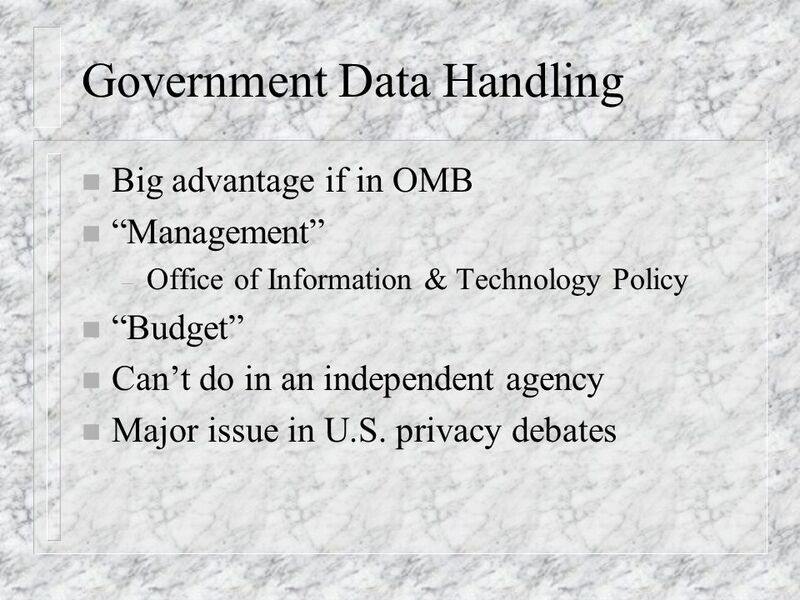 Telecom, Privacy & Security After September 11 Professor Peter P. Swire Ohio State University Ohio Telecommunications Industry Association October 2, 2001. 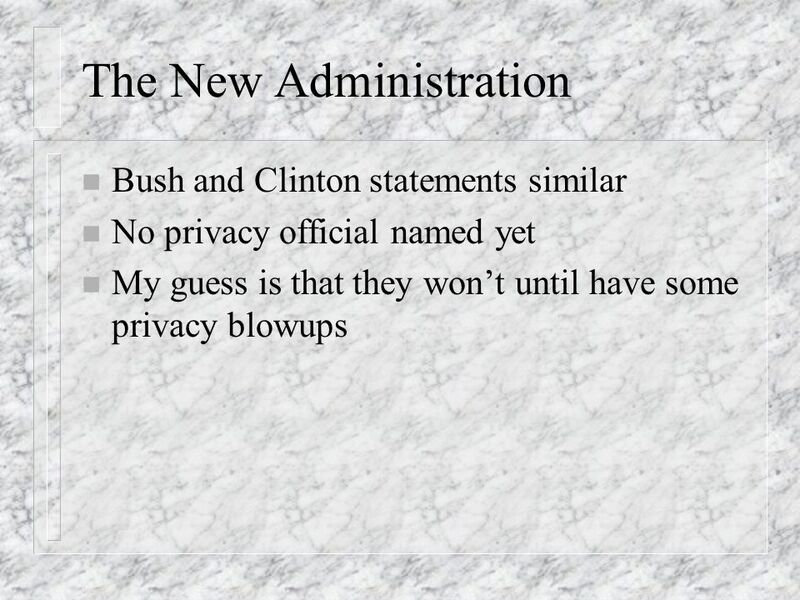 The United States, Privacy, and Data Protection Peter P. Swire Dutch Embassy Presentation January 19, 2001. 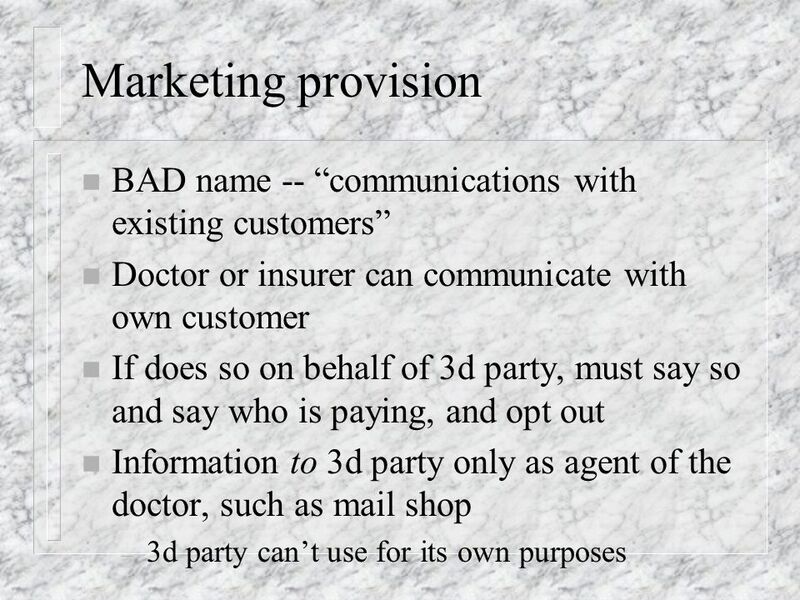 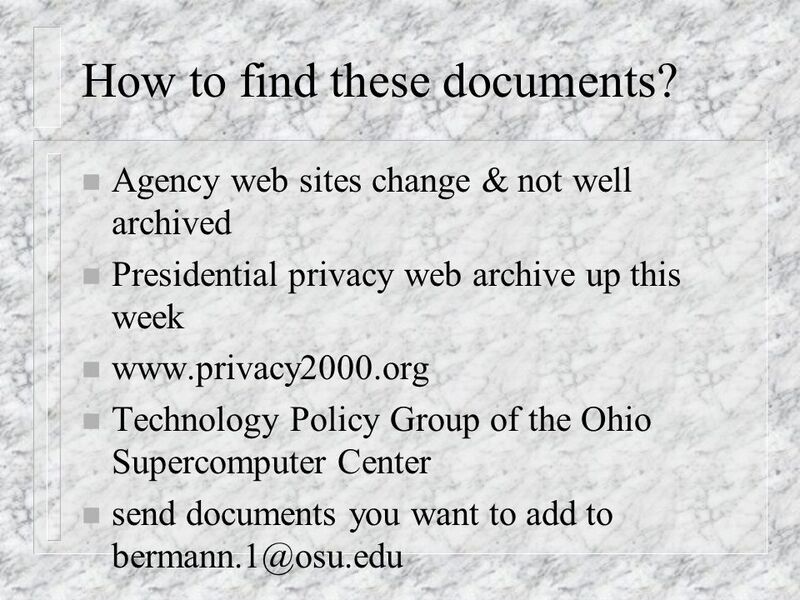 Privacy and the Internet Professor Peter P. Swire Ohio State University National Press Foundation February 14, 2001. 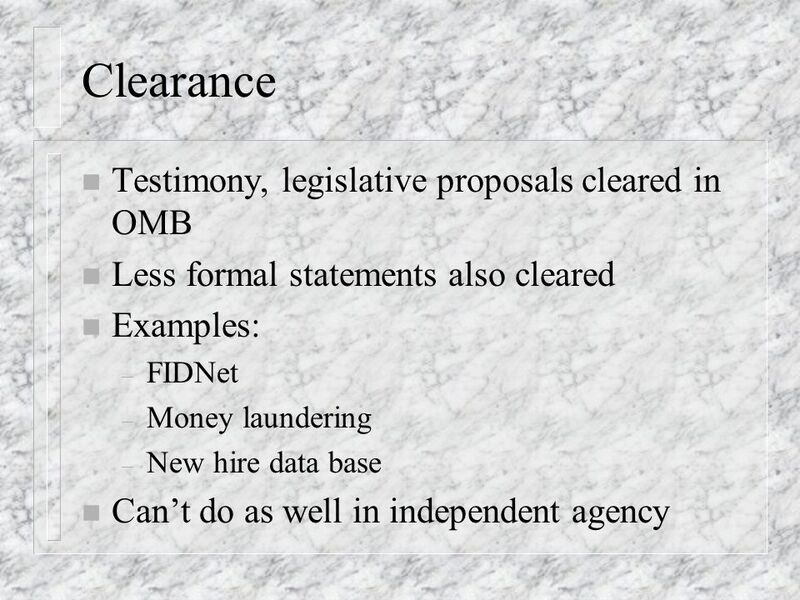 Privacy and National Security After September 11 Professor Peter P. Swire Ohio State University FLICC 2002 Forum Library of Congress March 19, 2002. 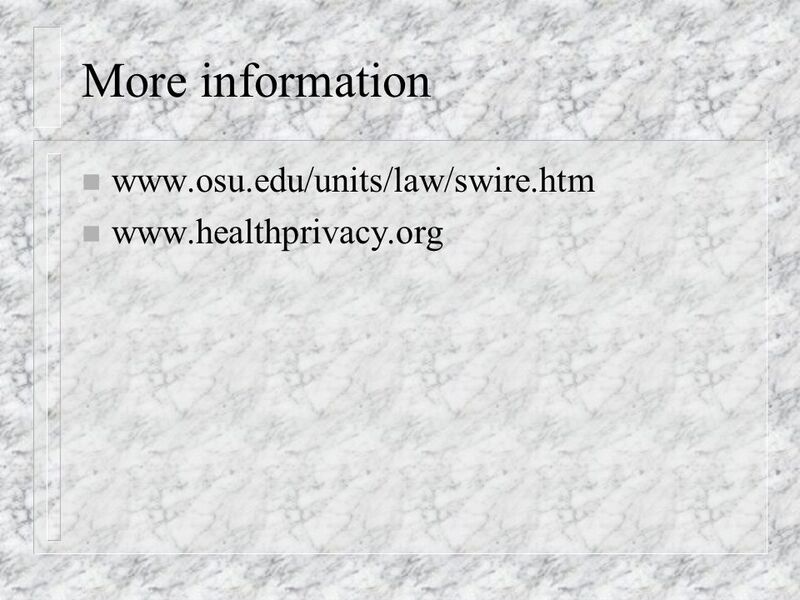 "Security and Privacy After September 11 Professor Peter P. Swire Ohio State Law School Consultant, Morrison & Foerster Privacy & Data Security Summit. 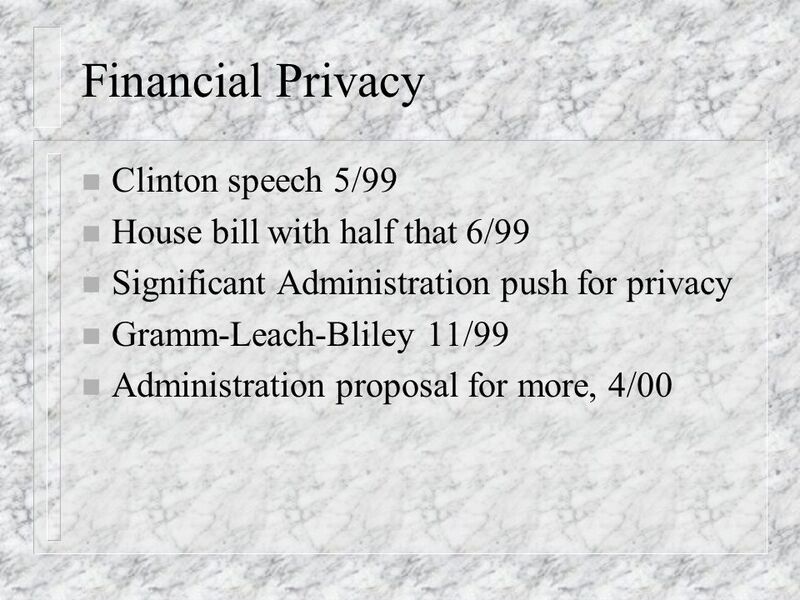 Student Financial Assistance. 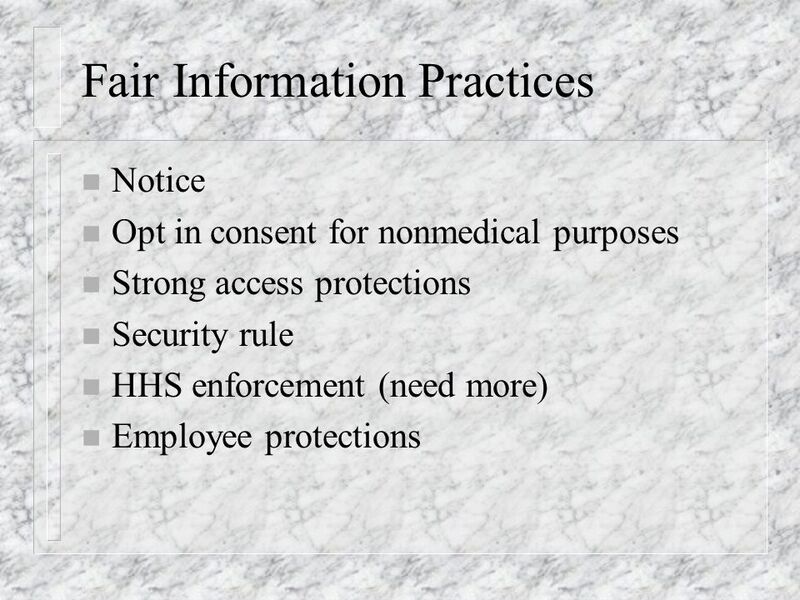 Session 55-2 Session 55 Internet Privacy Laws.